With a price tag of nearly $400 on average, wedding cakes can cost almost a third of the price of the average gown. And with countless add-ons, like gourmet flavors, fondant and buttercream adornments and several tiers to feed large crowds, the costs can soar even higher. You could argue that it’s worth the cost, and for many couples it is. As a tradition that dates back to mid-sixteenth century England, there’s something timeless about a stunning cake and sharing that first slice as newlyweds. But as more and more couples modernize traditions, some may point to the fact that they don’t even like cake, and some guests don’t either: an estimated 25% of guests, in fact. Nothing says autumn like…: Barn weddings, especially ones in fall, call for fun dessert bars with lots of customization. For weddings that feature a bonfire, a s’mores bar fits the bill. Select dark, milk, and white chocolate and go all the way with homemade graham crackers. Fun additions include flavored marshmallows and gourmet caramels. Add an caramel apple station and your guests will have plenty to celebrate. Also on the menu? Handmade pies. Learn from the French: Craving an elegant centerpiece? Croquembouche, a traditional French wedding dessert, consists of a tower of cream puff pastries, adorned with caramelized sugar. Also in vogue now: petit fours (miniature cakes) and trays or towers of gorgeous macaroons. 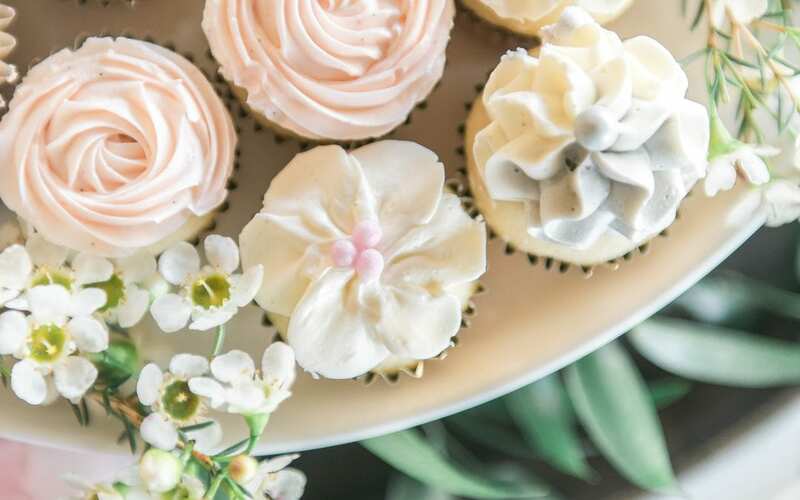 Just plain fun: It may not match the ambiance of a wedding cake, but candy bars, ice cream stations, and towers of cupcakes are undeniably fun, modern, and great for a party with lots of dancing. Elegant Alternatives: Cheesecake, tortes, pastries, and even different spins on the typical white cake, like carrot cake and even tiered Italian cake add an unique flavor without going too far away from tradition.